Perform the user registration to "SAi Cloud". 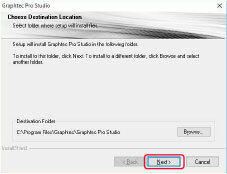 To install Graphtec Pro Studio, you must perform the user registration to SAi's Sai Cloud and then enable the activation code of Graphtec Pro Studio. Start the browser from your computer, enter www.saicloud.com. The following screen is displayed. You can change the display language by selecting the language at the bottom of the screen. Enter the activation code of Graphtec Pro studio, click on [Activate] button. 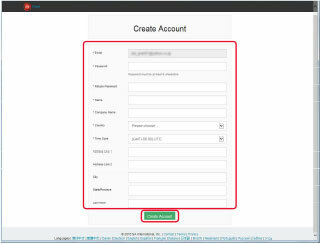 Select "I am new to the SAi Cloud", Enter your email address for product registration, then click [Create Account] button. * If you already had Said account, select "Account has been registered". Enter your email and password to log in, then go to step 8. This screen switches to the screen asking for confirmation of received email. Open the email sent to your SAi register email, and access to the provided URL. Activation is complete. Now, the user registration to "SAi Cloud" is complete. 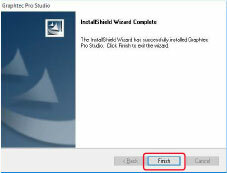 To install Graphtec Pro Studio, you must enable the activation code before installing it. Insert DVD, or download Graphtec Pro studio. 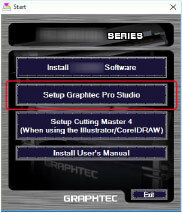 Click on [Setup Graphtec Pro Studio] button from "Start" screen. Note: when downloaded from our website, double-click on "Autorun.exe". Click on "Step1-Download"-"Download now" displayed in step 10 of the SAi Cloud User Registration, then download the "Saint_Software_Download.exe". You can download Graphtec Pro Studio by executing the downloaded "SAi_Software_Download.exe". Even if you downloaded it in this way, double click on the "Autorun.exe". Click on [Browse] button if you want to change destination folder, then click [Next] button. Leave the initial values for the check boxes, then click [Next] button. 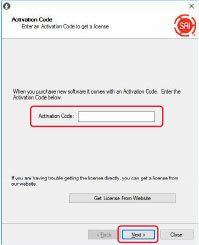 The screen to enter the activation code is displayed at the end of installation. Enter activation code that you entered in step 3 of the User Registration to SAi Cloud in the activation code item, then click [Next] button. Click on [Finish] button. Now, the Graphtec Pro Studio installation is complete.